It’s so easy to submit to buying cheap kids’ clothing: duds are often outgrown quickly, fall apart, or even just become a sudden addition to the “I’m NOT wearing that” list. 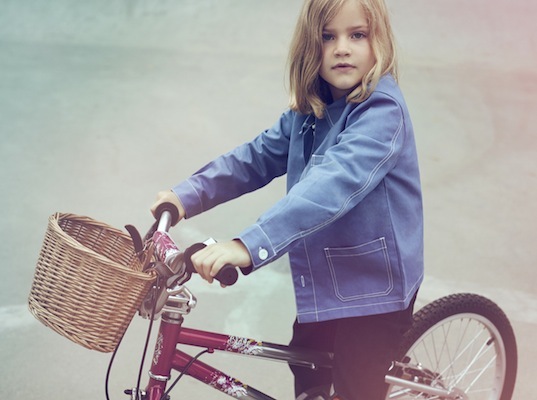 But The Fableists, a children’s clothing brand that offers stylish and sustainable clothing for kids ages 4-10, has given us reasons for choosing the alternative and offer plenty of food for thought behind their process. The Fableists clothing is made with 100% GOTS certified organic cotton, with 95% of the water used to grow the cotton coming from monsoons. The brand ships their clothes by boat instead of plane to lesson the carbon transport load and also uses biodegradable packaging. And since the company was started with the idea that kids shouldn’t be making clothes for other kids, The Fableists swear by Fair Wear or Fair Trade manufacturing. 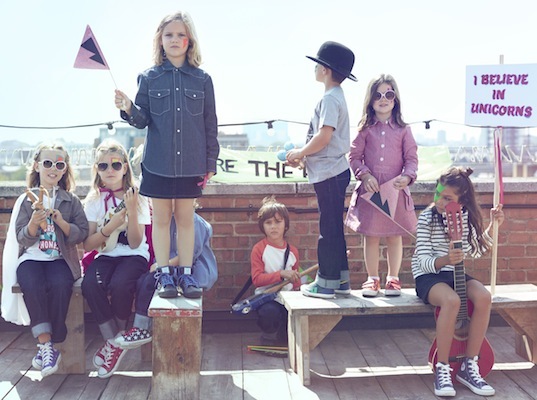 All of that would be enough, but the clothes are a combo of cool vintage style and sensibility (we have serious envy that they are not available in adult sizes). From a limited edition shirt featuring birds making the recycling symbol to a classic French striped shirt to a red cotton chambray dress, The Fableists offer staples (some of which are unisex) that can be worn everyday, but that still offer a dose of hip polish. Until Monday The Fableists is having a 50% off sale! Enter fableistfifty at checkout. And until June 1st the online store will be donating 20% of all sales to Raising for Rana, a charity working to support the victims of the Rana Plaza Collapse (which involved a garment factory in Bangladesh). What are you waiting for?